Beautiful front entry trimmed in stone which leads inside to the convenient drop zone with wooden lockers and side closet! Stylish kitchen which boasts beautiful granite, SS appliances , under cabinet lighting & hardwood flooring!Family rooms hosts a full stone fireplace. 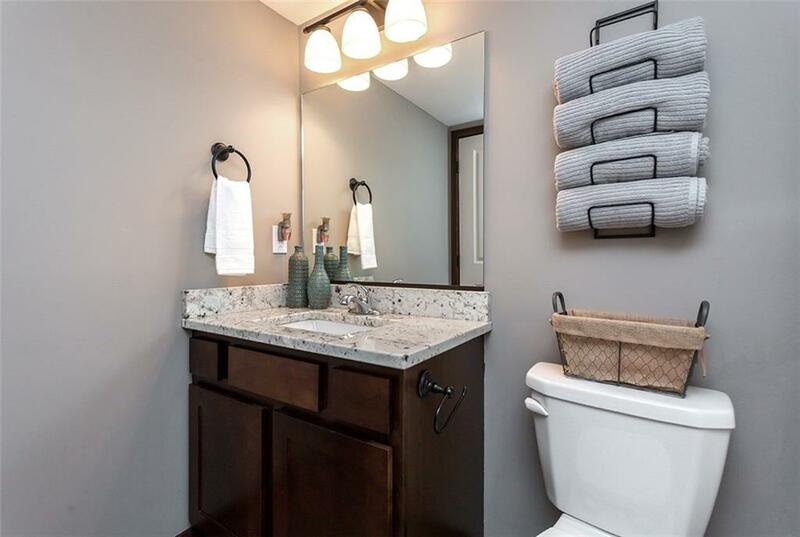 Large master suite with large walk in closet, full private bath with double vanities! 2nd floor laundry room. Two ample spare rooms share the full hallway bath with custom made barn door.. 3 car attached garage with side utility door! 3.0 energy efficient home with maintenance free siding! Finished basement with family room, bathroom and bedroom with egress. Fully fenced yard! Located in South Maple Grove, just minutes of Jordan Creek and all that WSDM has to offer! Blocks from elementary school, playground and parks!